If you’ve ever loved the colour lilac, you’re not alone. While the colour is a favourite among many young girls, most interior planners and designers also use this colour as their colour of choice. 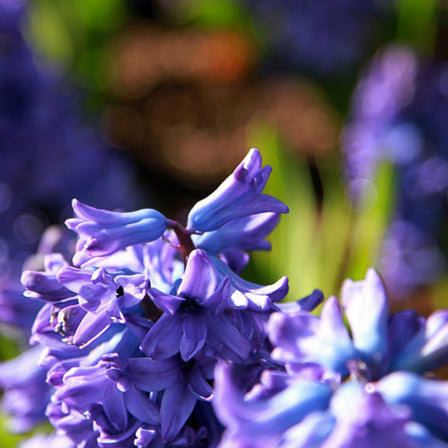 Did you ever wonder where this colour comes from and what’s the story of lilac? 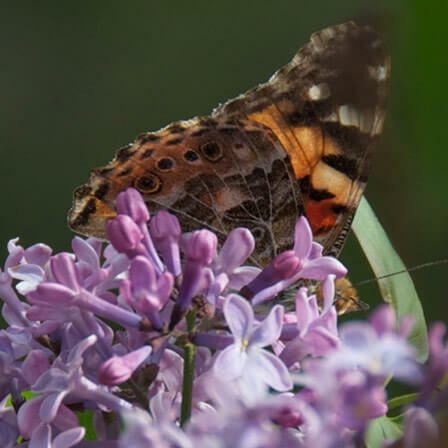 Lilac is a common flowering shrub and the state flower of New Hampshire. Lilac comes in hundreds of varieties and the colours range from rich, burgundy purple to lilac, lavender, blue, white and even yellow. 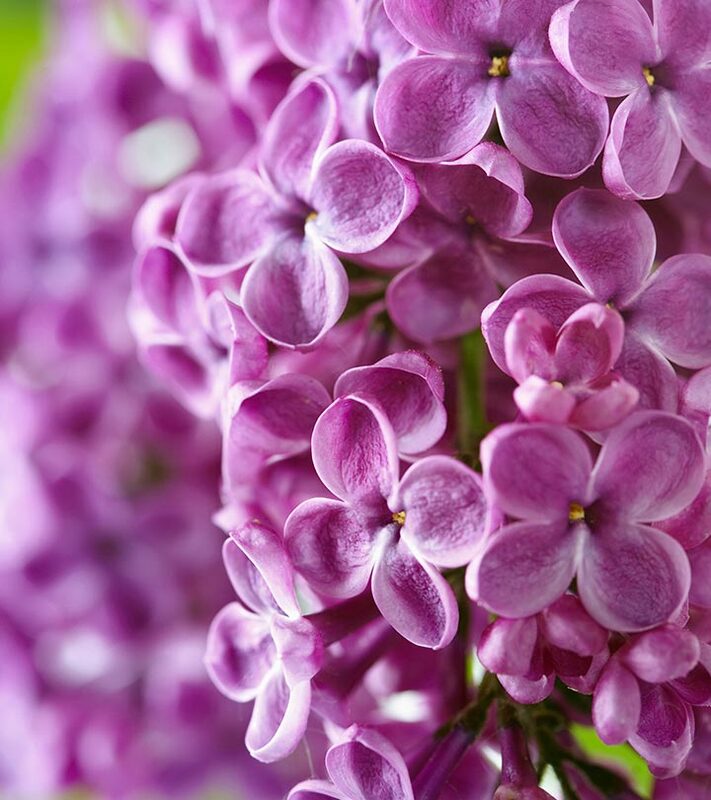 The scent of lilac flower varies from light floral to warm spicy tones. 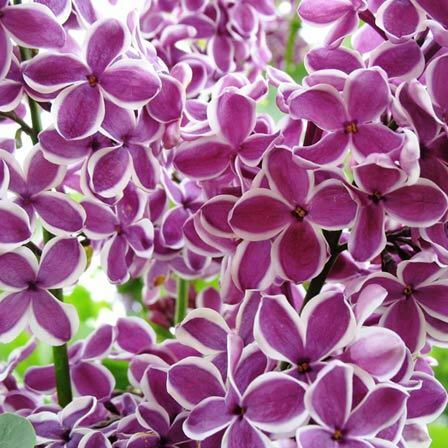 Lilac symbolizes youthful innocence and stands for confidence and pride. The Most Beautiful Lilac Flowers! James Macfarlane is a large cluster of fragrant, clear pink flowers that bloom in late spring. The flower has narrow, heart shaped leaves on upright oval shrubs. It is extremely hard and adaptable and can easily withstand moisture conditions. It blooms yearly in May and June and is attractive to butterflies. Angel white is a pure white lilac that blooms quite late in the lilac blooming season. 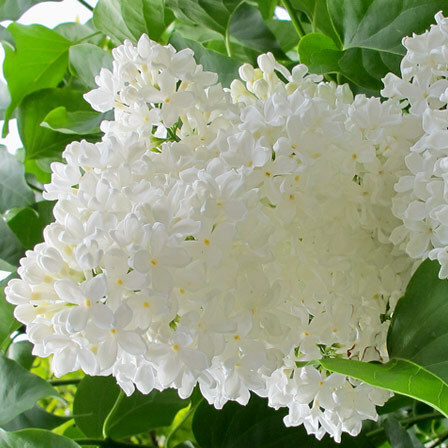 It features loose clusters of fragrant white flowers which rise above the green foliage. 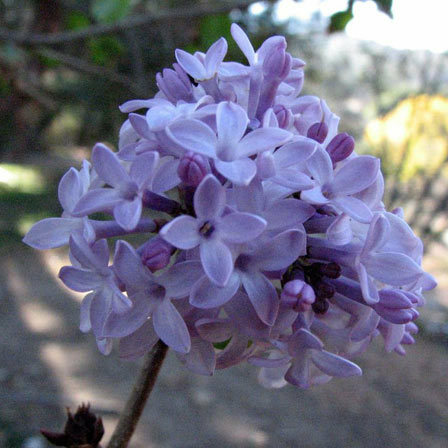 It is a hybrid variety of lilac which provides more flowers and has good heat resistance, making it a perfect choice for warmer regions. 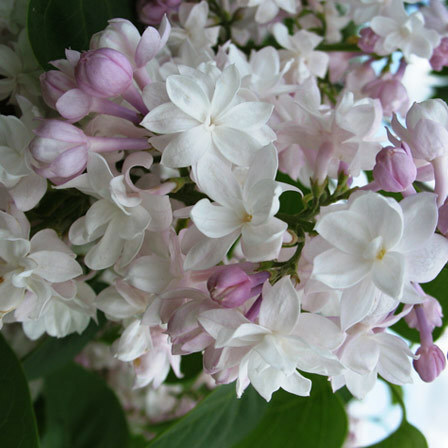 This white lilac flower will create elegance in your garden with its white clusters of curved petal flowers. This is one of the most breath-taking lilacs. 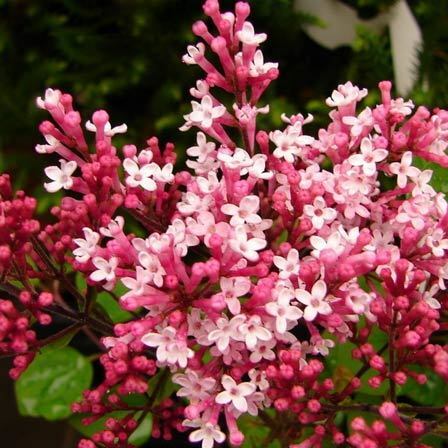 It features pink, pearl-like buds that open up to gorgeous double white flowers. The flower has a strong, spicy fragrance and is often used in the perfume industry. The combination and contrast of the pink buds with white petals is extremely stunning. It has bluish green foliage which stays the same throughout the season. Congo is an heirloom variety which bears beautiful wine red flowers that are highly fragrant. 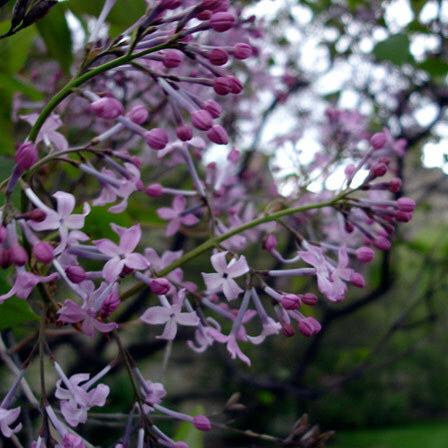 It is often listed in the top 5 lilacs by lilac aficionados. The leaves are medium green, heart shaped and are 5 inches long. They are borne in large, semi open clusters near the branch tips. The flower appears in late spring to early summer. It is quite hardy and is easy to grow. Lavender is a profuse bloomer and has strong, fragrant flowers. 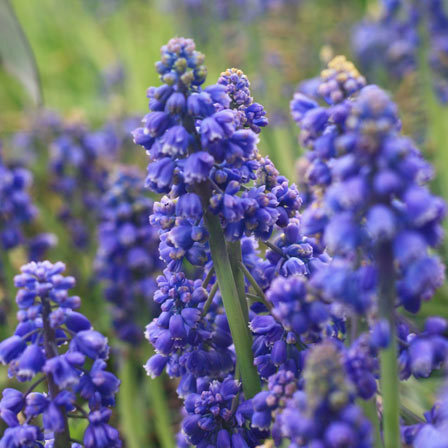 The plant produces 6 to 9 inches flower spikes, crammed with lavender blooms which are beautifully set off by rich green, heart shaped leaves. The flowers are huge and the plant is quite robust. It thrives best in full sun and moist and well-drained soil. 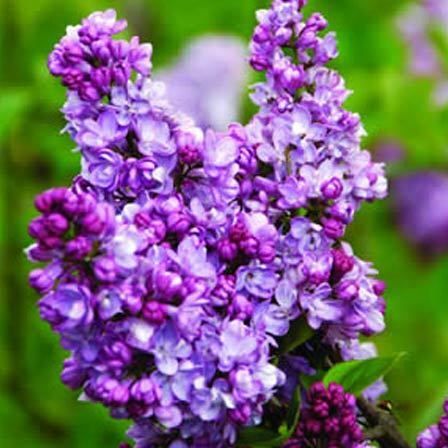 It is one of the best lilacs for warm areas. Maiden Blush was developed in Canada and has hardy and big round flower clusters. It is an early flowering single petal variety with light pink to lavender pink blooms. The flower tends to display different shades of pink depending upon the soil condition and climate. It is highly fragrant and has cinnamon tones. It prefers well drained soil and will tolerate poor soil condition and harsh winters. President Grevy is an all-time favourite lilac which offers, soft, light blue flowers that are wonderfully scented. It has bluish green foliage which does not fade with time and the heart shaped green leaves do not develop any appreciable loss of colour. It has smooth, dark grey bark. It prefers full sun, good drainage and air circulation to thrive. 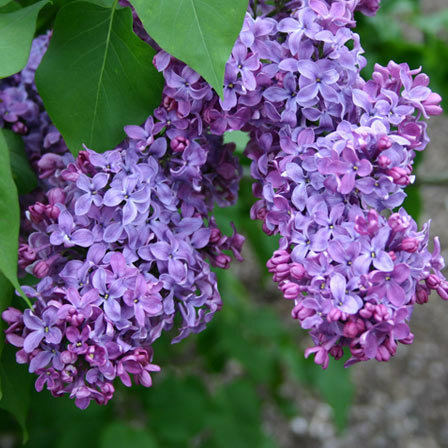 President Lincoln is a fast growing lilac with extremely fragrant blooms. It has huge leaves, which often tend to hide the flowers. The flowers are orchid in the bud, opening to gorgeous Wedgwood blue blooms. Its branches are erect and have open, rich green foliage. 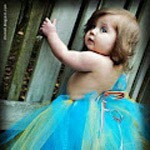 It is attractive to bees, butterflies and birds. Primrose is supposedly the only yellow lilac. The flowers are not true yellow in colour but have a creamy white colour which turns yellow as it ages. It has elegant heart shaped leaves which gives an amazing contrast to the sunny flowers. 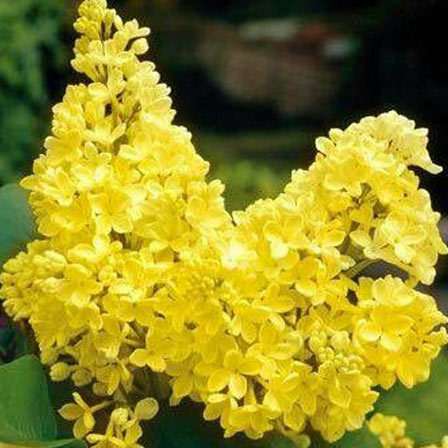 It is intensely fragrant and is a long staying flower. It attracts butterflies, hummingbirds and birds. Sensation is a unique lilac with single purple blossoms with distinct white margins. 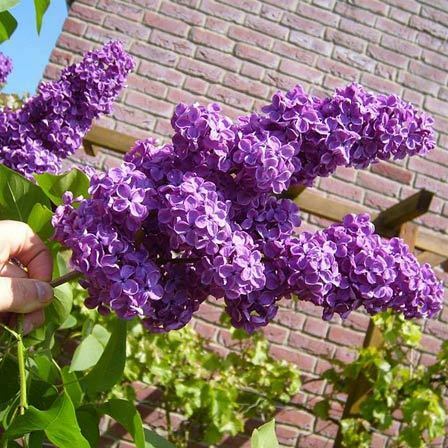 It is a bestselling lilac flower in the market. It is a mid-season bloomer and flowers in May yearly. It has a striking variegated sweet scent which is very pleasing. It will surely add beauty to your garden. Tinkerbelle is the newest lilac hybrid. It comes in an unusual hot pink colour and is quite small in size. It has a unique fragrance but is spicy rather than being sweet. It is an excellent choice for foundation planting and decoration. The flower should be pruned regularly to promote its growth. It has a terrific resistance to powdery mildew. Minuet is a hardy shrub with outstanding spring flowers which are highly scented. It is a hybridized cultivar of this species known as Syringa villosa x prestoniae “Minuet”. The flower would look amazing in your garden if planted as a hedge. It is dense and rounded and has warm, purple flowers. The foliage is green in colour which turns a tad yellow with time. Charles Joy is a French hybrid lilac with shiny purple buds which opens into double, magenta highly fragrant flowers. Each flower has eight to ten cupped and curled petals and medium to long corolla tube. The flower is excellent for cutting and would make an amazing addition to your garden. 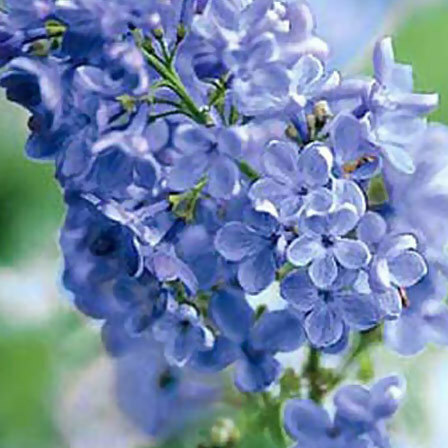 Wonderblue is a slow growing lilac which has single sky blue flowers with a nice sweet fragrance. The flower is attractive to bees, butterflies and birds. It tolerates light shade, but blooms best in full sun. 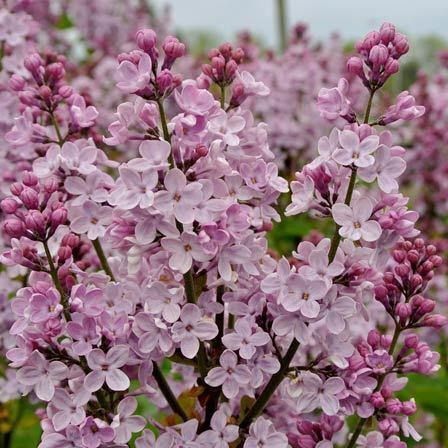 Miss Canada is a hardy, late blooming lilac and is considered as one of the bestselling pink lilacs. Its graceful, arched branches make it lovely as a hedge or foundation plant. The clear pink blooms rising above the deep green foliage make a stunning display. The leaves are heart shaped which turn a bit yellowish with time. It has a unique spicy scent that can be recognized even if is 30 feet away. 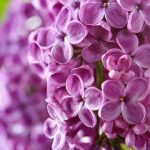 Hope you found this article on lilac flowers quite interesting and informative. We would love you see your comments if any.